It was great weather on the weekend, warm, sunny and not too windy. I spent a few hours at Green’s Bush seeing what the warmer weather had brought into the forest. At the car park I heard and found my first seasonal visitor: the Olive- backed Oriole. It was high up in a tall Eucalyptus calling and quite difficult to see with its camouflaged plumage. Its very distinctive call helps to pinpoint it in the upper canopy. 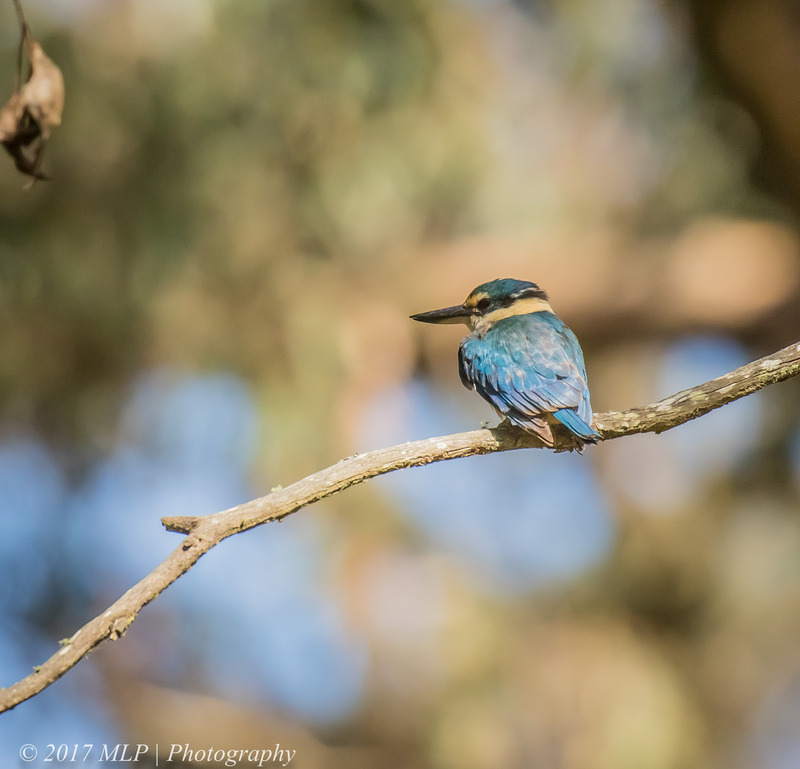 Towards the end of a nice long walk around the full Baldry Circuit at Greens Bush I found this Sacred Kingfisher intently watching the ground. I usually hear this species rather than see it: it makes a short sharp triple bark. 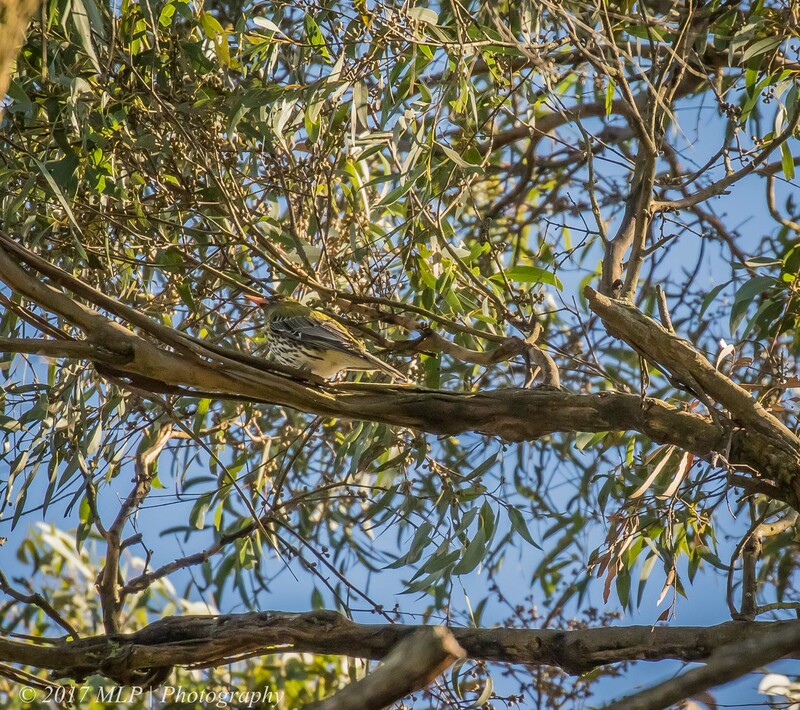 It is a tiny bird, hunting insects and small lizards, pouncing from perches like the branch below. It is the first time I have seen one at Green’s Bush. 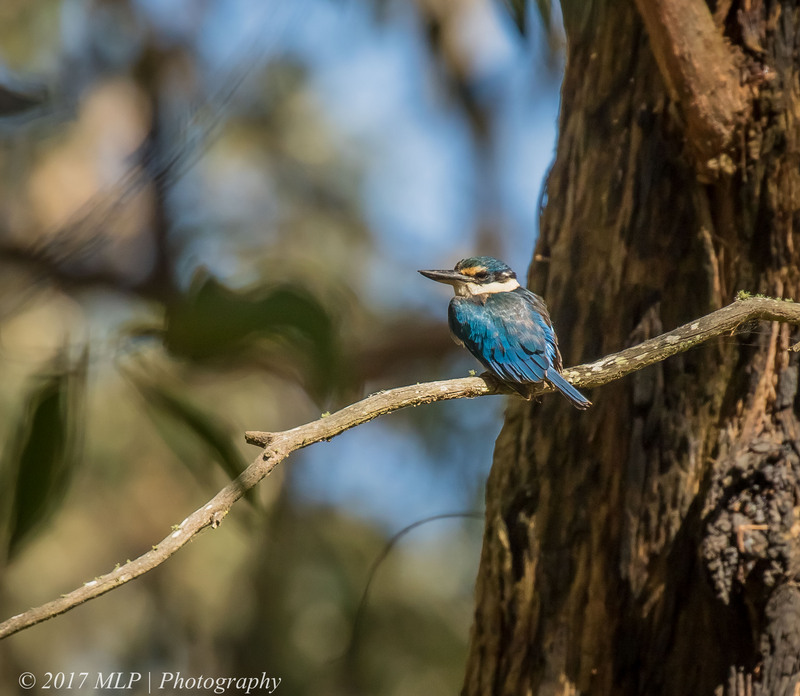 I only found it because I was looking for birds nesting or roosting in tree hollows and saw the bright blue plumage against the dark tree bark. 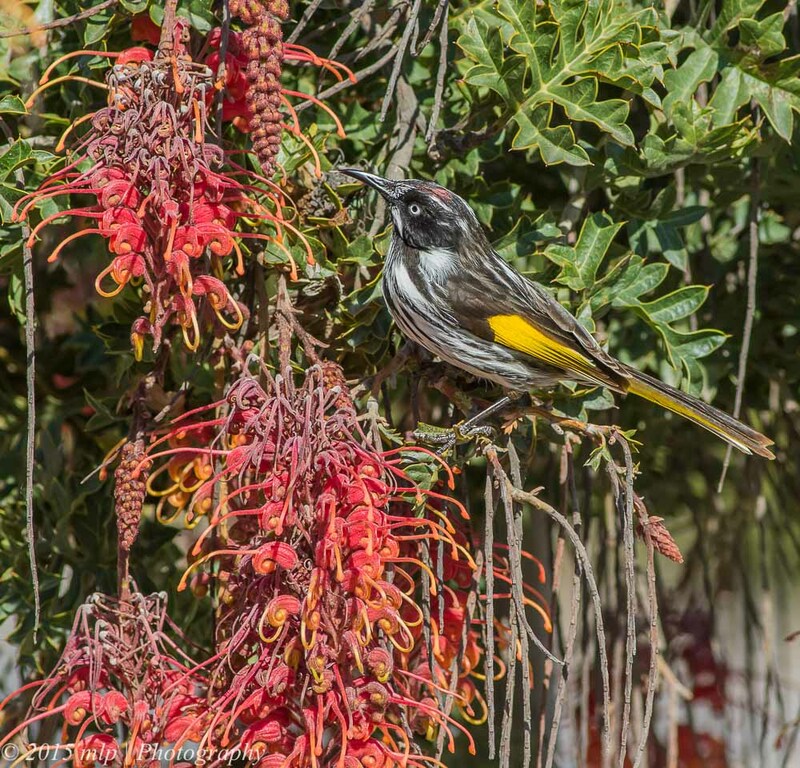 New Holland Honeyeaters dominate the formal parts of the Cranbourne Botanical Gardens. They are generally easy to get a nice image of but it can be much more time consuming trying to get a shot with a bit of personality. 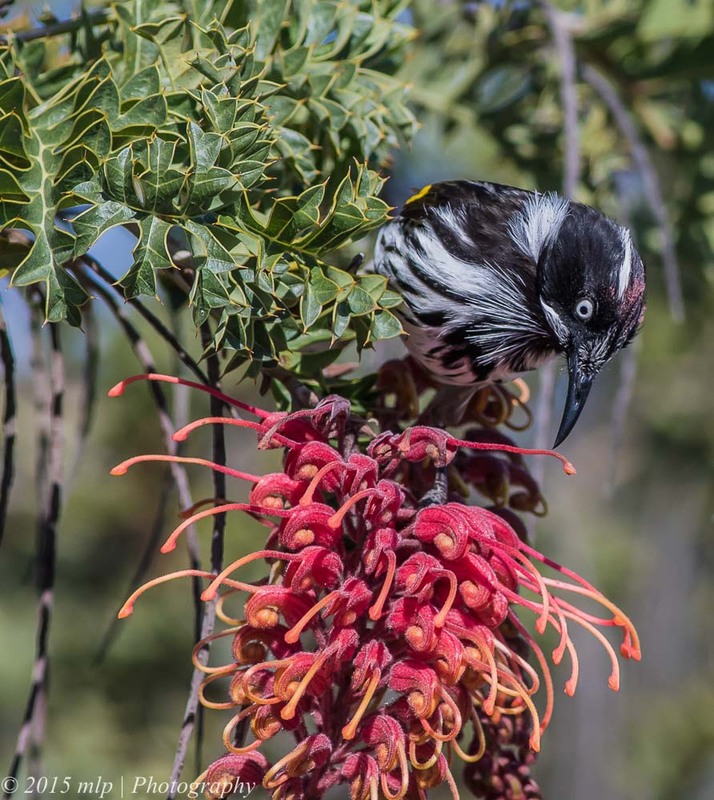 Many of the native plants are flowering at the moment so there are good opportunities to find an ideal bush with nectar filled flowers and wait for a Honeyeater to turn up. Many times they land on a high point behind you, you notice, you spin around and it takes off, then you curse yourself as you realise you just missed the shot that was right in front of you. I recently visited with a few bird photography friends and we had a challenging time attempting to find “the” shot – a never ending quest. 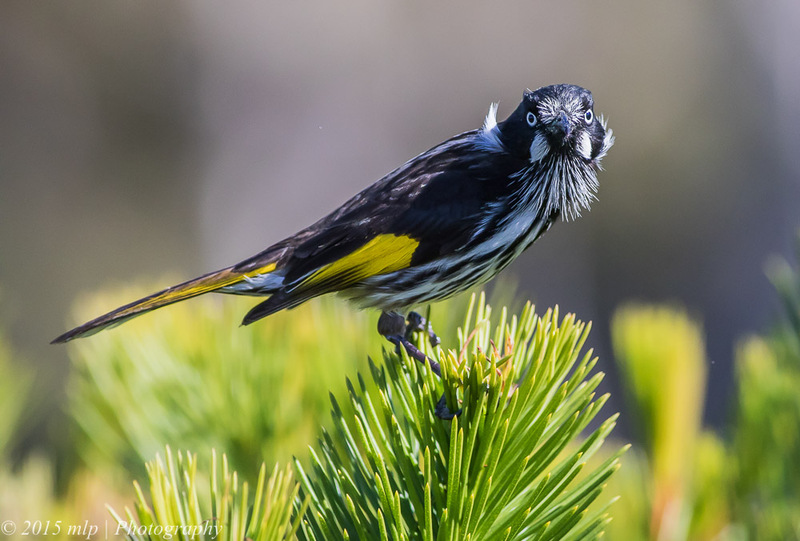 It seems harder to get a good shot, that you are happy with, of a fairly common subject while often we seem happier with average shots of a rarer subject. 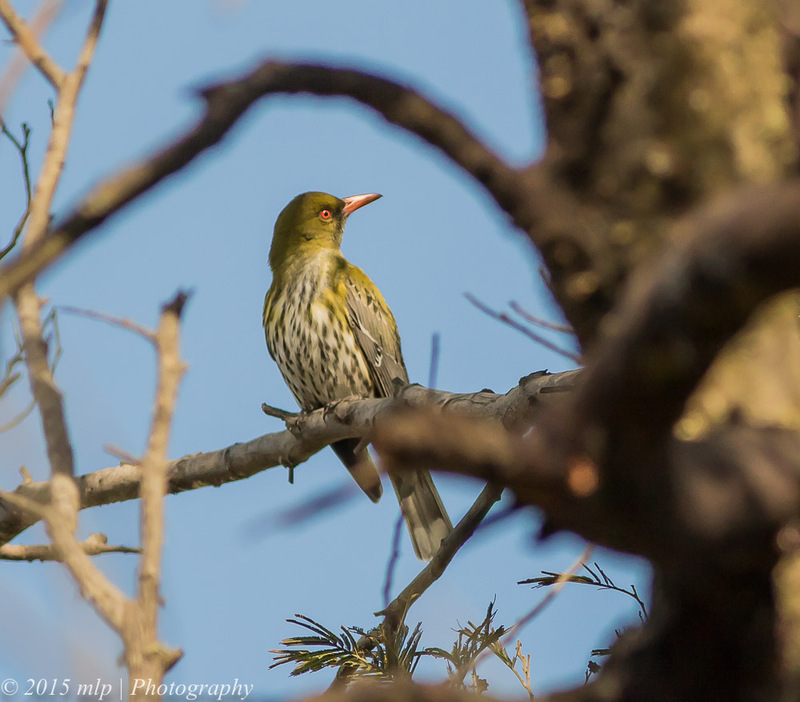 Olive Backed Oriole, Cranbourne Botanical Gardens – a rare bird for me, only seen a few times before.